For Samsung Galaxy J7 Pro 2017 SM-J730G J730GM J730F J730DS / Galaxy J7 2017 SM-J730FM J730K 5.5"
1pcs New Assembly For Samsung Galaxy J7 Pro 2017 SM-J730G J730GM J730F J730DS / Galaxy J7 2017 SM-J730FM J730K 5.5"
3-6 business days to USA. if you don't receive the items after 10 Business days,please Message me as soon as you can.I will do my best to resolve the problems : ? 1)The flex cable is very sensitive and is easily damaged. Handle carefully. 2)Special tooling and skills are required for replacing this parts. 3)Please try to handle the repair or replacement work in a dry and dust free environment without direct sunlight. 4)The installation of this item should be done by a qualified person. 1) Please confirm the item is exactly one you need. If the buyer bought a wrong item, not need the item, can not install the item, or any other buyers causes returns, buyer need to pay for the return shipping and 15% of payment for the seller charge(Example: shipping fee, Restocking fee, Handling charges and so on. 100%,Guarantee Money Back,New high quality ,includes the LCD, digitizer touch screen and front glass already attached. Special For Samsung Galaxy J7 Pro 2017 SM-J730G J730GM J730F J730DS / Galaxy J7 2017 SM-J730FM J730K 5.5"
Fix Problems like :dead touch, Slow respond touch, part of screen do not respond touch, broken glass and any problems around display. Not included installation instruction ,tools or adhesive, Professional technician is needed for installation. We won't responsible for any damage due to improper operation. 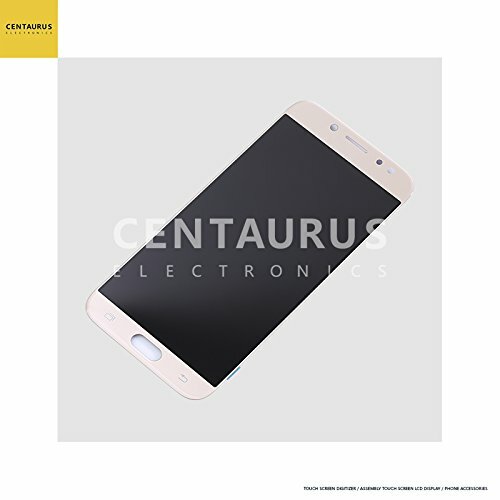 If you have any questions about this product by centaurus, contact us by completing and submitting the form below. If you are looking for a specif part number, please include it with your message. LCD Touch Digitizer Screen Assembly Replacement for Microsoft Lumia 950xl / 950 Xl 1440 X 2560 Pixels 5.7"